The second trailer for 24: Redemption. 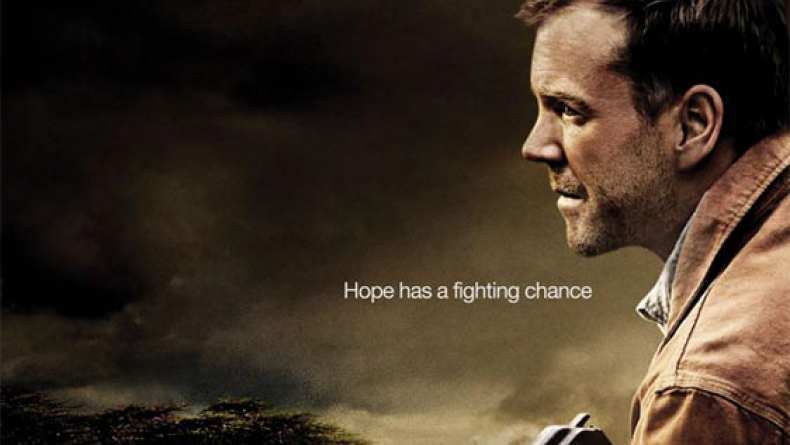 After sacrificing everything for his country, Jack Bauer (Sutherland) is wanted by the U.S. government and now stands to lose the only thing he has left: his freedom. Working as a missionary in Africa, Bauer is called upon to stop a ruthless warlord from drafting innocent children into his murderous militia. First, Bauer must confront his own torturous past and face an impossible decision that will change his life forever. A decision that will set the stage and raise the stakes for Season Seven, which debuts in January 2009.